If you need abrasive discs for your business in Kansas City, Wichita, Dallas, Fort Worth, or another nearby city, it’s best to deal with a distributor that not only offers a vast selection of abrasive products but also expert customer support. That’s exactly what you can expect from Wm. F. Hurst Co., LLC, which has served businesses throughout the Midwest since 1962. We offer an unmatched selection of durable abrasive discs and always keep our inventory stocked with the products our customers need. Furthermore, our sales representatives are extremely knowledgeable about all of the abrasives we offer and have expertise on a wide variety of applications, so they can be trusted to recommend products that can help you improve processes within your operation. In addition to abrasive discs, we also offer abrasive belts and a wide range of other industrial supplies, including power tools, hand tools, metalworking fluids, and safety equipment. 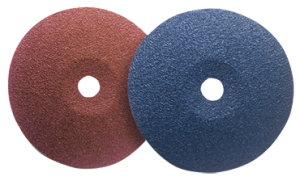 Contact us today to learn more about our selection of abrasive discs or other products in our inventory. Wm. F. Hurst is an industrial supplies distributor that serves businesses in cities throughout the Midwest, including Kansas City, Wichita, Dallas, Fort Worth, Joplin, Springfield, and Sedalia.